Where To Buy A Tens Unit? TENS vs EMS which is the best for you? WHAT'S THE DIFFERENCE BETWEEN TENS AND EMS UNITS? Every day, millions of Americans suffering from chronic pain reach for a pill bottle. With the rise of opioid abuse, it's critical there’s an alternative for those who suffer from chronic aches and pains. According to the CDC, on average, 130 Americans die every day from opioid overdoses. From athletes to white-collar workers, people from all spectrums of life have been touched and understand the risks and hazards these medications can pose. As a result, people are switching to TENS as a greener, more organic approach to get away from prescription drugs. 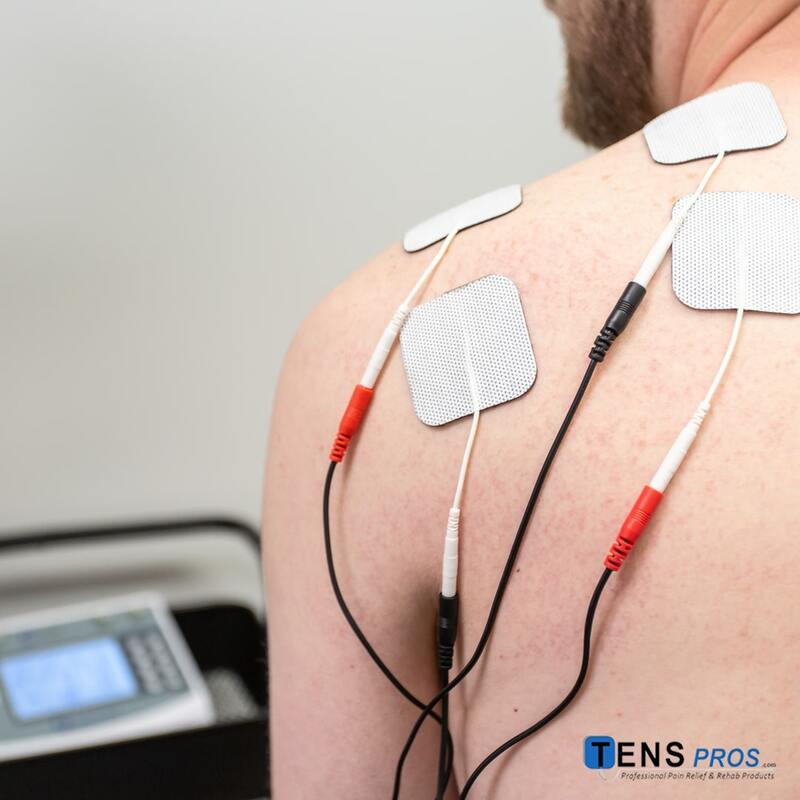 TENS, or Transcutaneous Electrical Nerve Stimulation, is a form of therapy used to stimulate nerves throughout the body by applying a low electrical current directly to the source of the pain and discomfort. Many medical professionals TENS units stimulate the nerve endings in the pain area to prevent the nerves from sending a pain signal to the brain, which is how we, as humans, perceive pain. This phenomenon is referred to as “Gate Control Theory” and supports the use of TENS as a drug-free, alternative form of providing pain relief. Running is one of the most accessible and practiced sports activities worldwide. Nearly 60 million Americans get outside in their communities to participate in the valuable cardiovascular exercise. However, running can be hard on your feet, knees, and back – leading to chronic pain even if you’ve never experienced an injury. Electrical stimulation can play a role to reduce and to relieve these chronic aches and pains without interfering with your activity level or motivation to step outside. Competing medications can make you foggy and tired, making you less inclined to participate in the valuable exercise you need to live a healthy life. Hopefully, you’ve never have had to experience a car accident, but chances are you are part of the three million Americans who are injured in one every year. Often these injuries are not life-threatening, but they can be life-altering. Minor injuries can stay with you for years leading to arthritis, degenerative disk disease, and disk herniation. These injuries may start off mild, but they progress leading to pain and discomfort that can alter your daily activities. Electrical stimulation such as TENS can help you cope with these injuries without taking medications that affect your entire body or having to undergo complicated and expensive treatments. Electrical stimulation is a minor procedure that you can complete in the comfort of your home instead of a cold, costly operating room. Fibromyalgia or chronic neuropathy may be foreign to you, but it’s not alien to the millions of Americans it affects every day. The reason behind the source of this pain is unclear, but we do know that the body becomes hypersensitive to any movement or touch, causing sufferers to experience discomfort 24 hours a day. Imagine having pain while making your children breakfast, cleaning your home after a gathering of friends, or even having pain when crawling into bed. Electrical stimulation has been shown to help these sufferers by emitting low-voltage electrical pulses to disrupt the pain pathways inside the skin and muscles. This stimulation overloads and distracts these pathways leading to significant relief from otherwise constant pain. Using electricity to heal and alleviate pain has its roots as far back as ancient Egypt as well as Benjamin Franklin. Today patients use TENS devices as a cost-effective solution to treat pain with the same science but without the side effects. If you are suffering from a debilitating condition and looking for an option that is accessible but yet effective, make sure to click through our extensive list of TENS products to find the most suitable solution to fit your lifestyle and get you the relief you need.